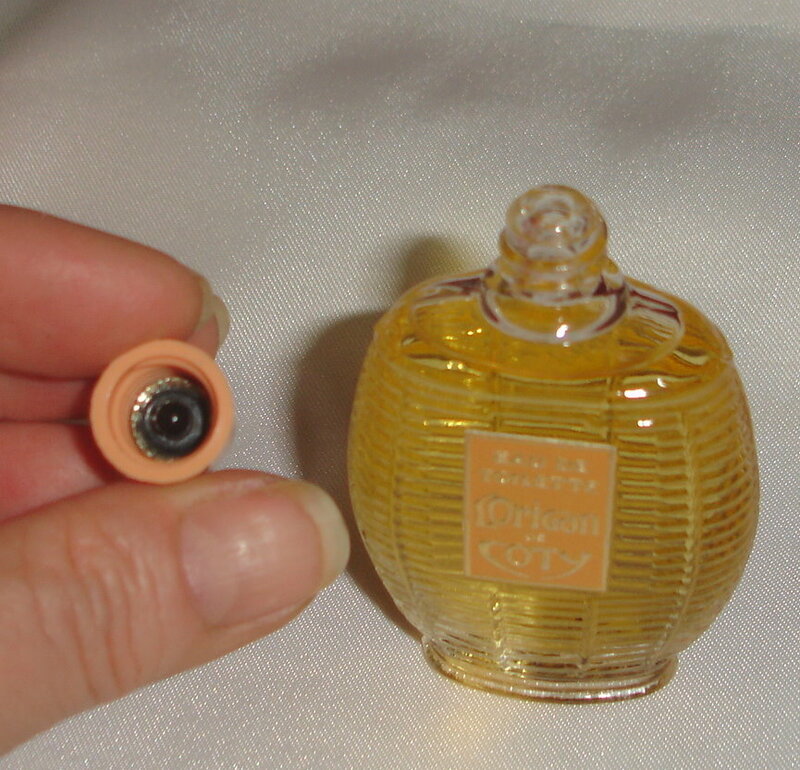 I am not sure of the size. 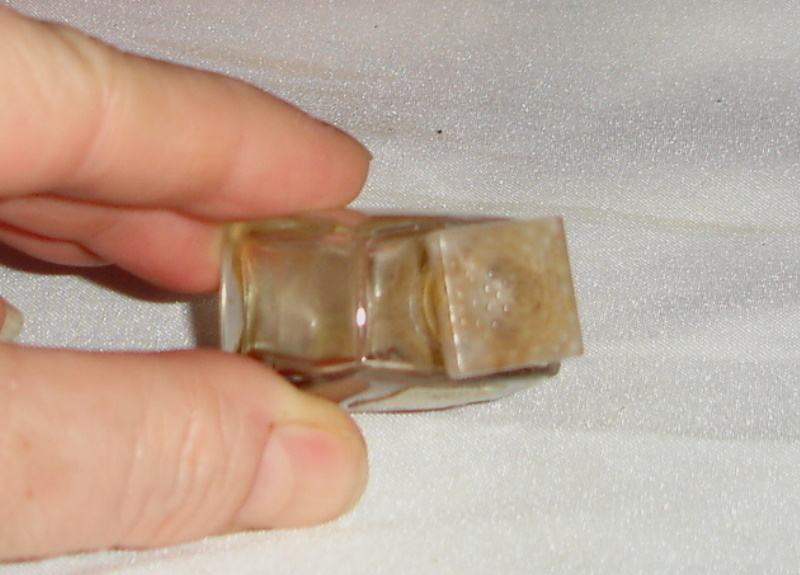 Either 1/3, 1/4 or 1/2 oz. 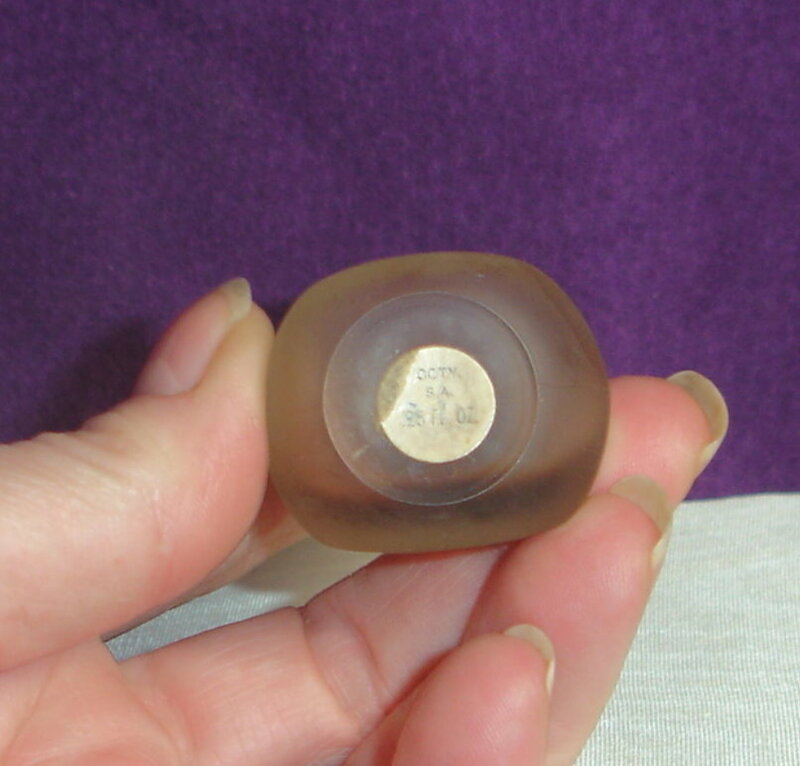 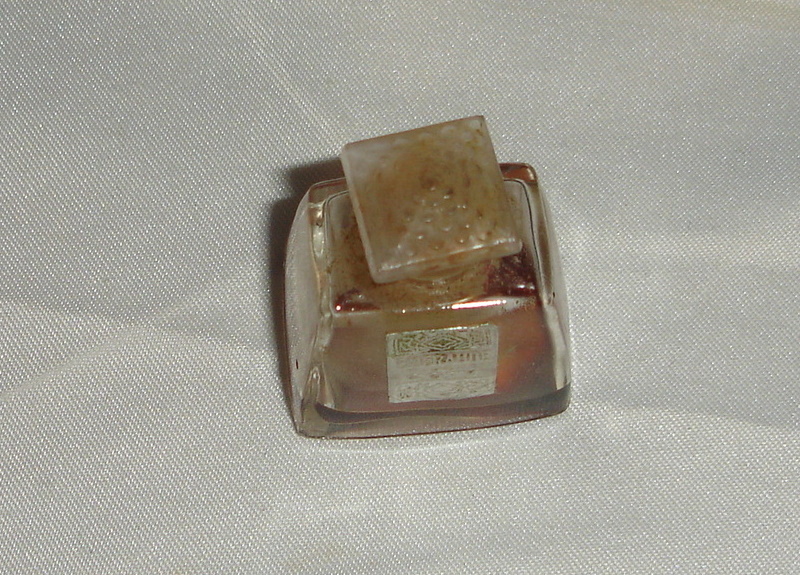 The stopper is very decorative, but it is frozen in bottle. 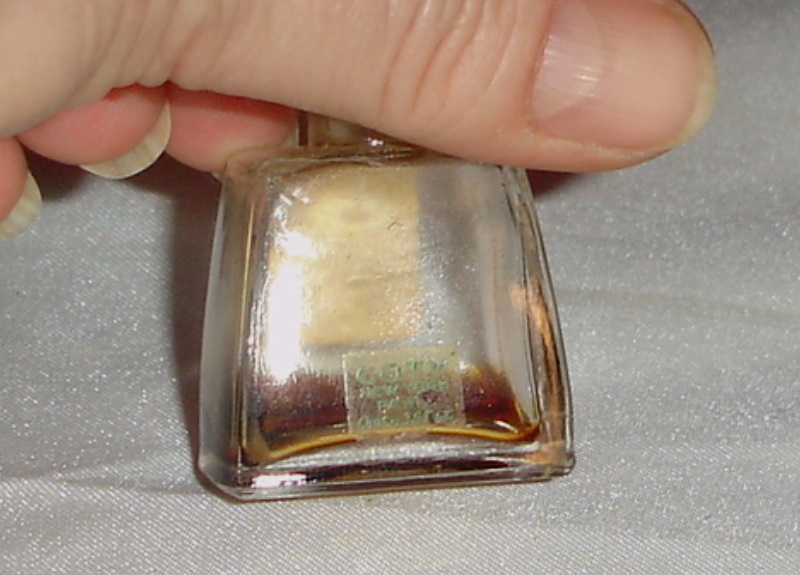 The label has been stained and has some color loss. 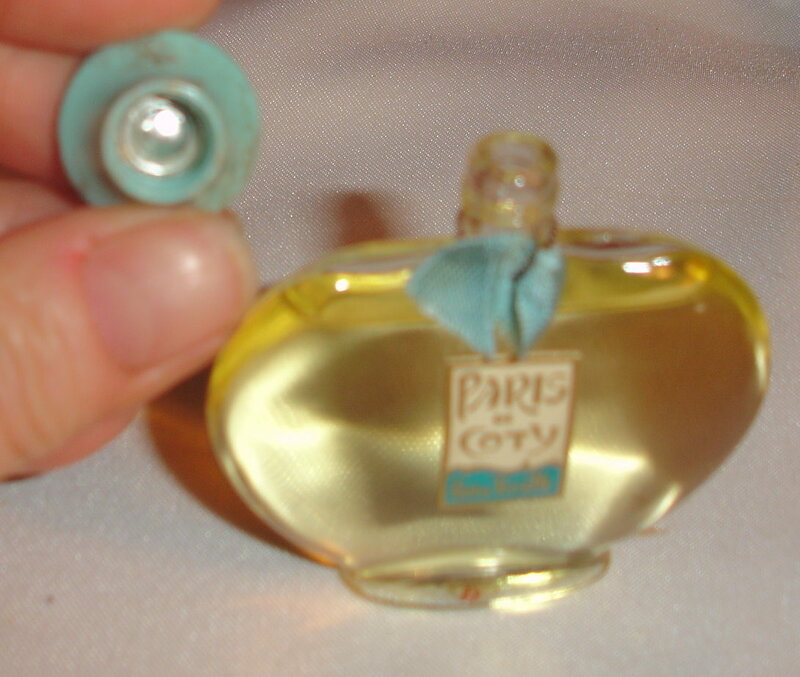 Nice collectible bottle with some thick perfume inside. 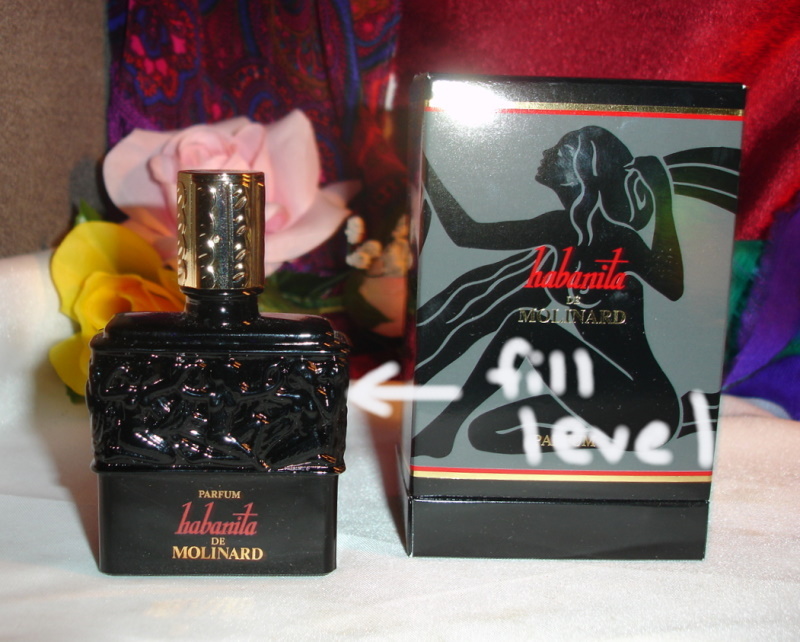 Molinard is no longer making Habanita Parfum, only EDT and EDP. 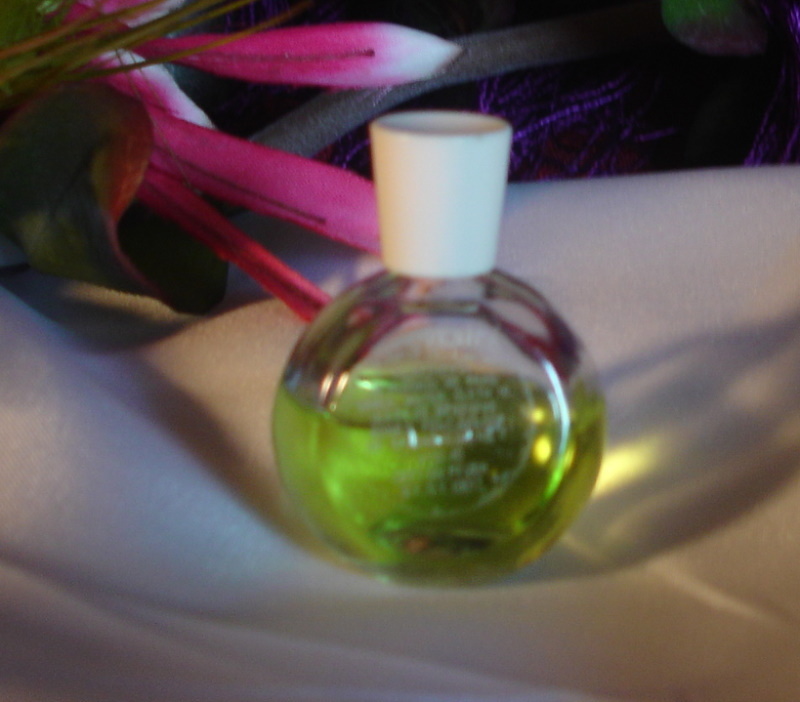 They have also reformulated the formula again. 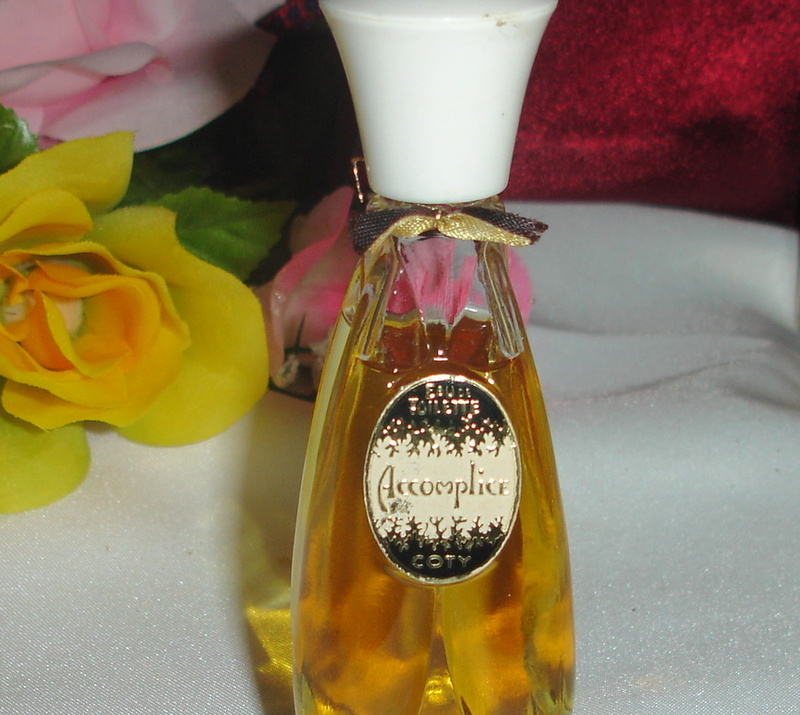 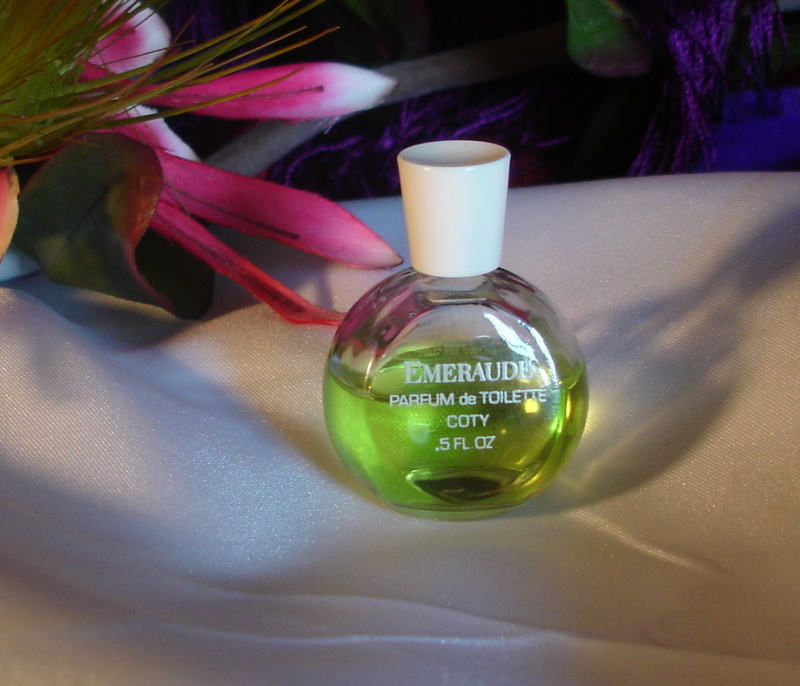 This is the older formula parfum and it smells great. 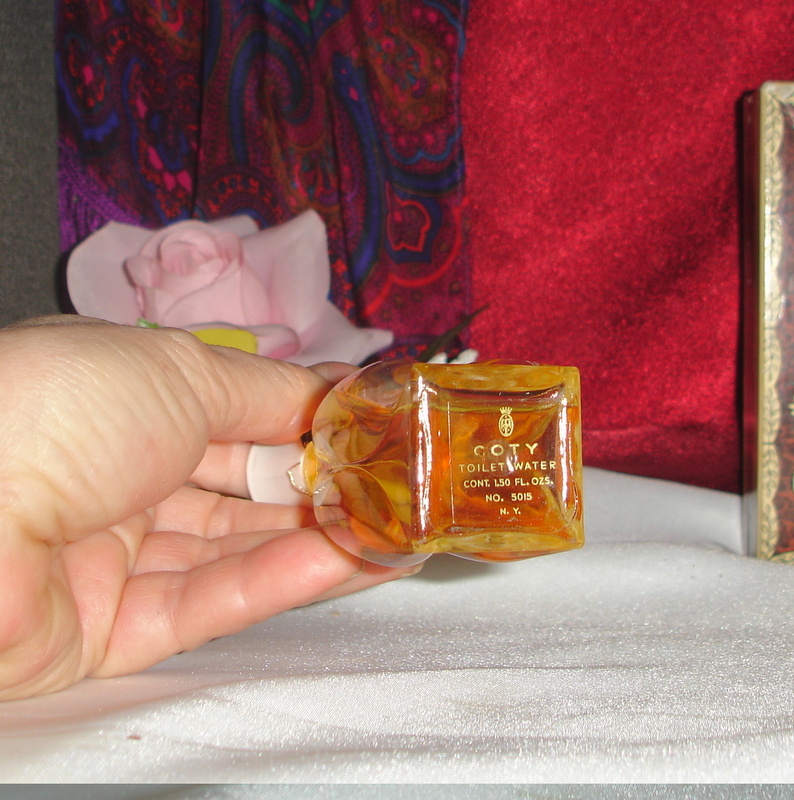 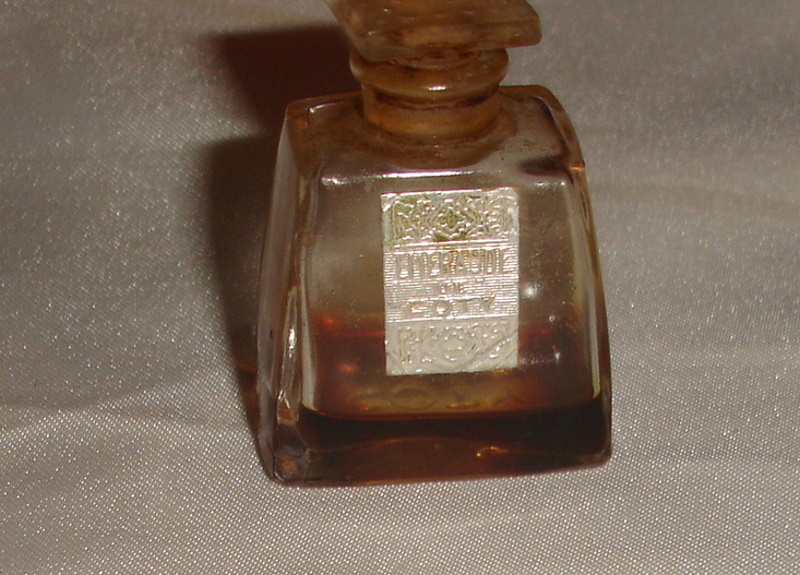 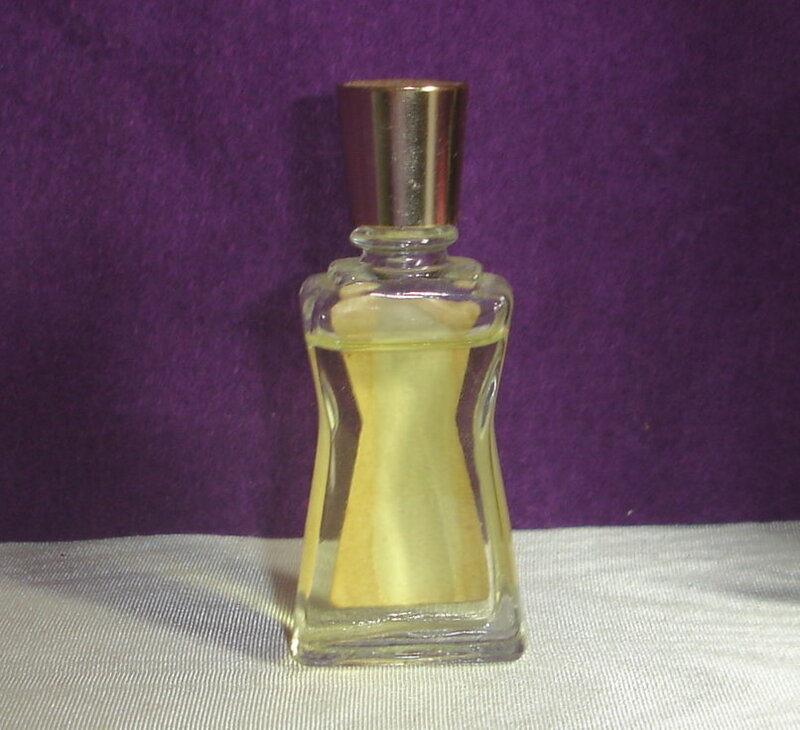 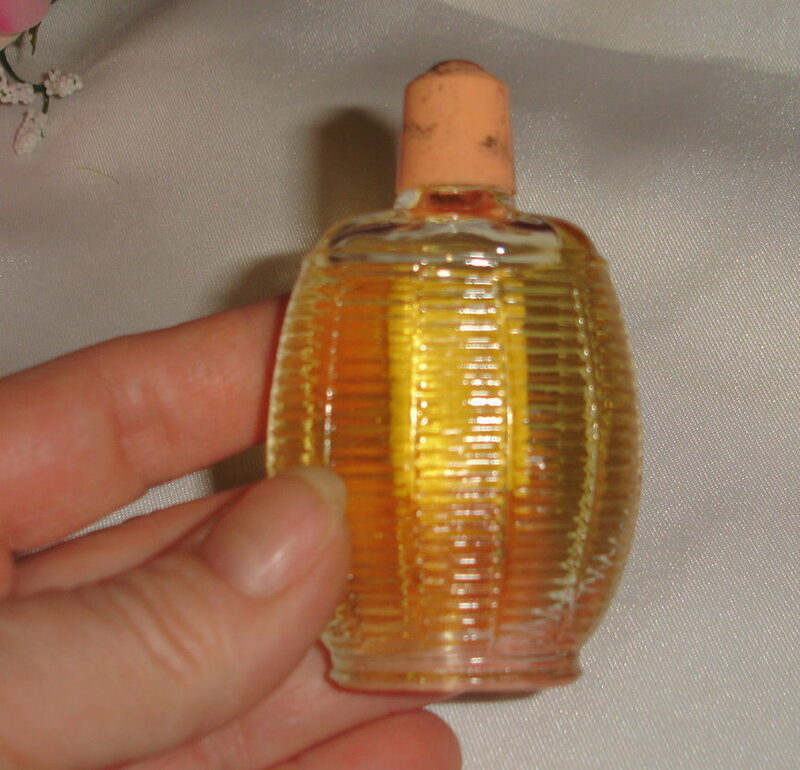 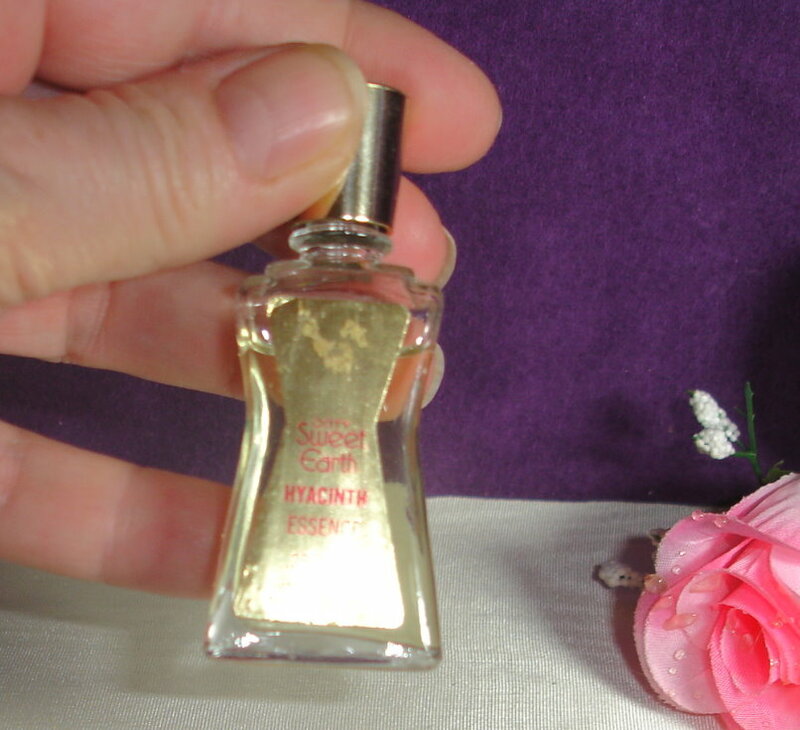 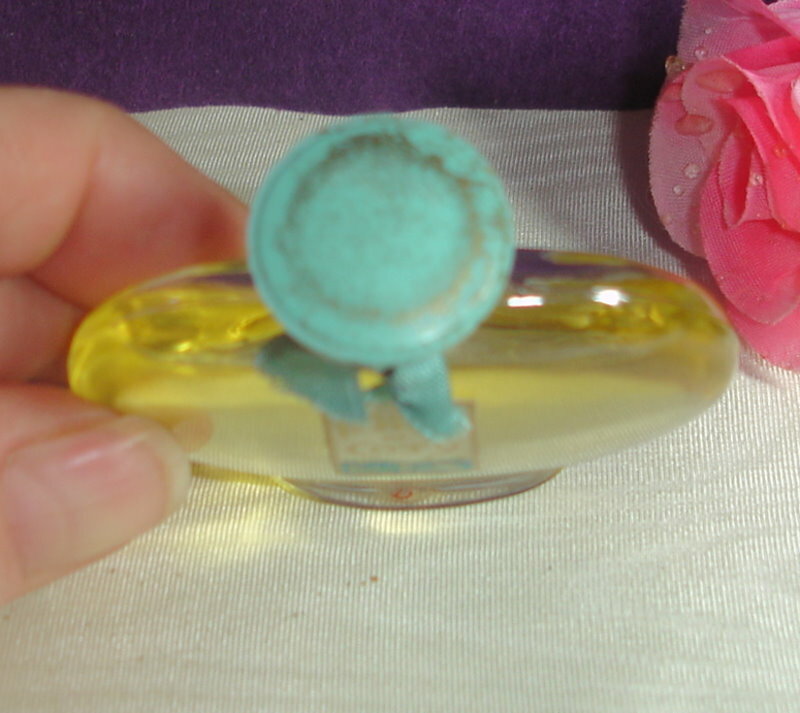 This bottle is from my personal collection and I have used approximately 5 ml out of the 30ml in the bottle. 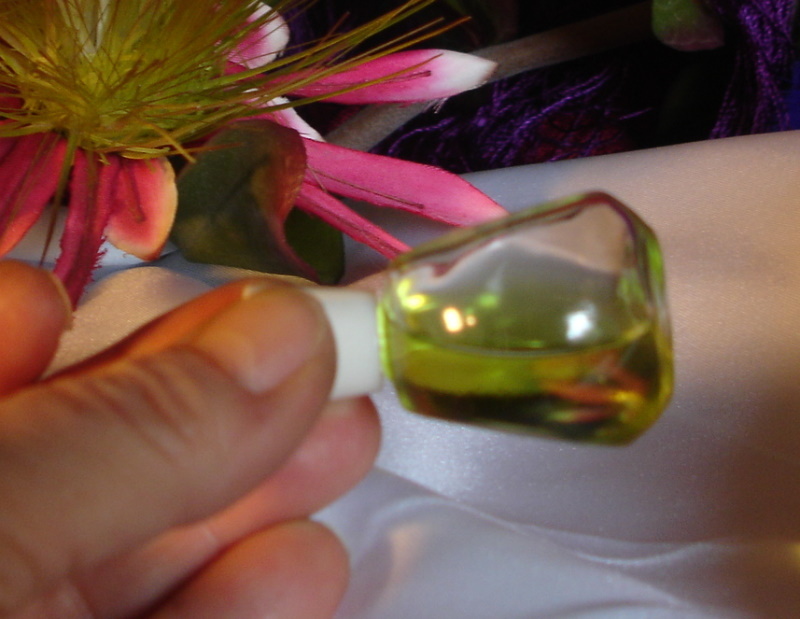 I love Habanita, as I love powdery scents with a vanilla drydown. 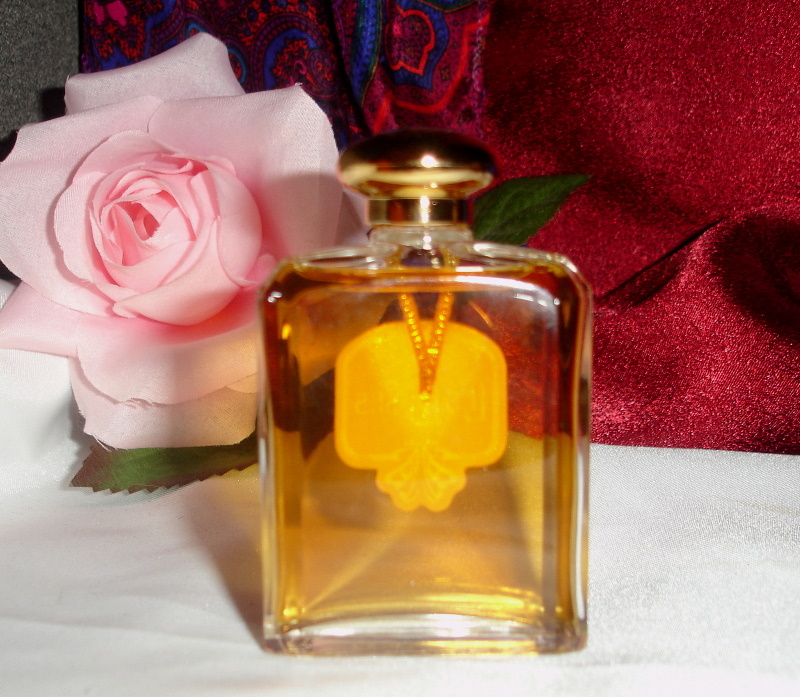 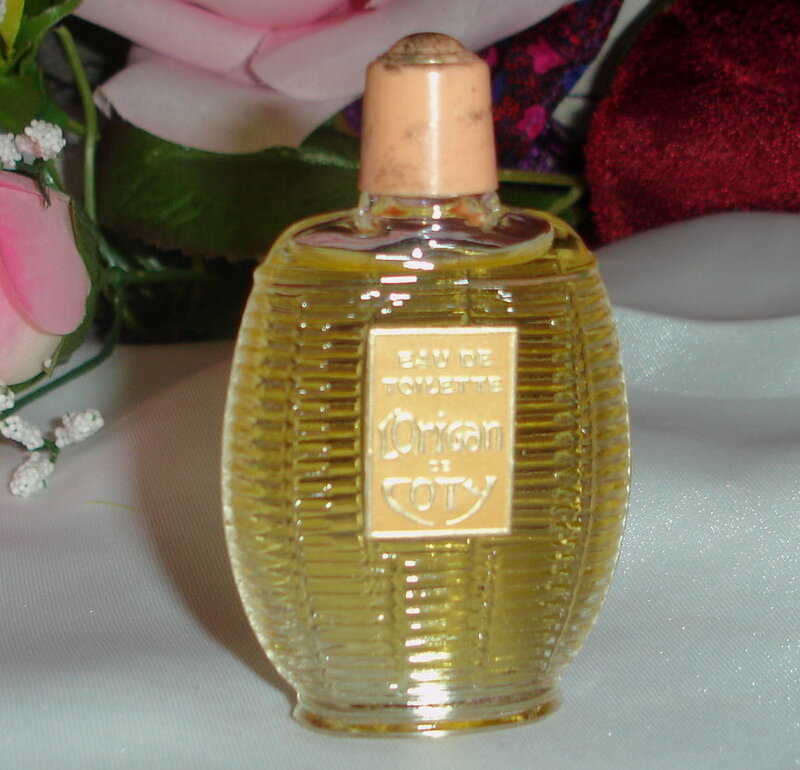 Habanita is an Oriental perfume, launched in 1921. 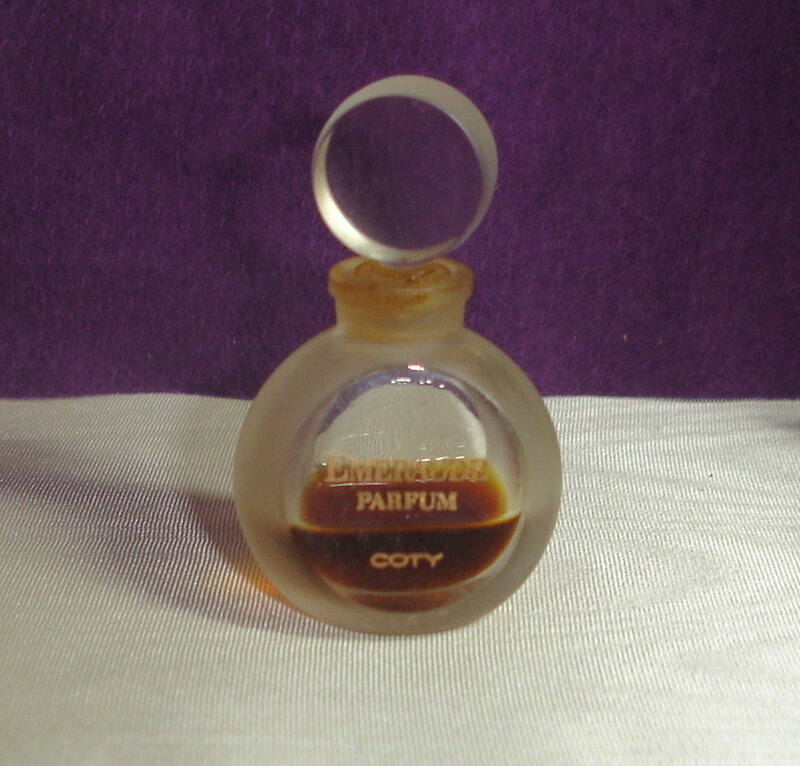 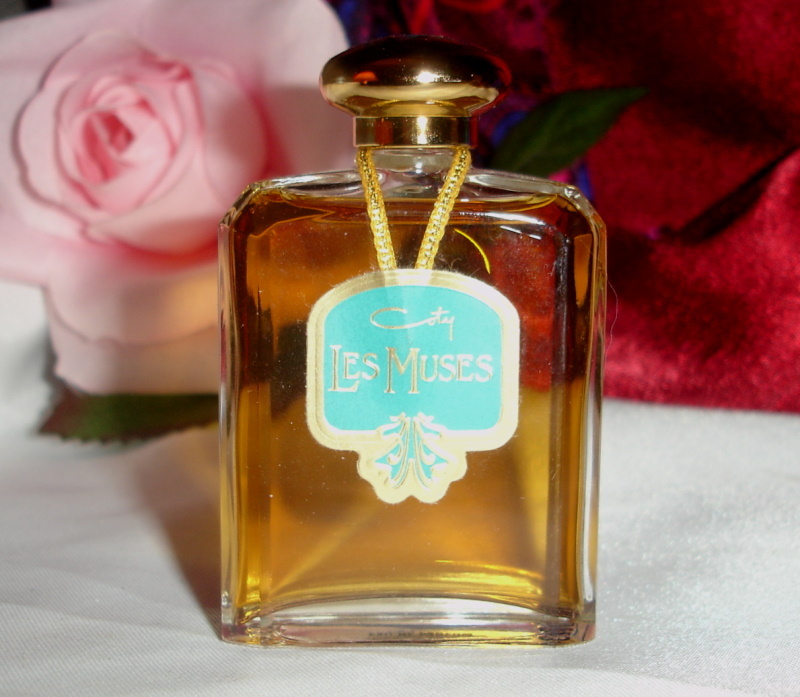 The nose behind this fragrance was Henri Robert although he was never credited as such. 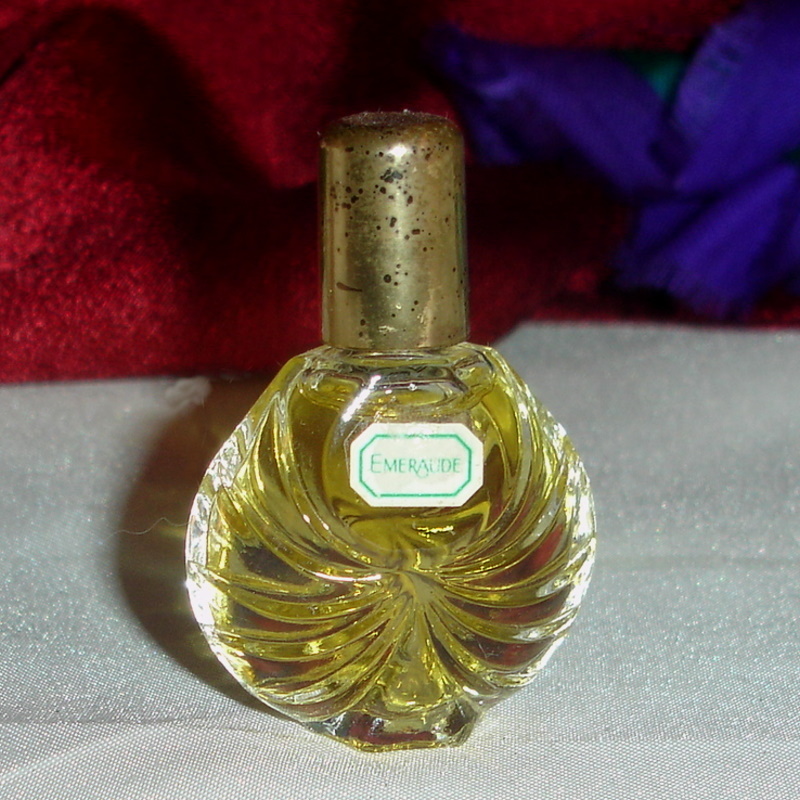 But I have a perfume he created under his own name and it is identical to the original Habanita. 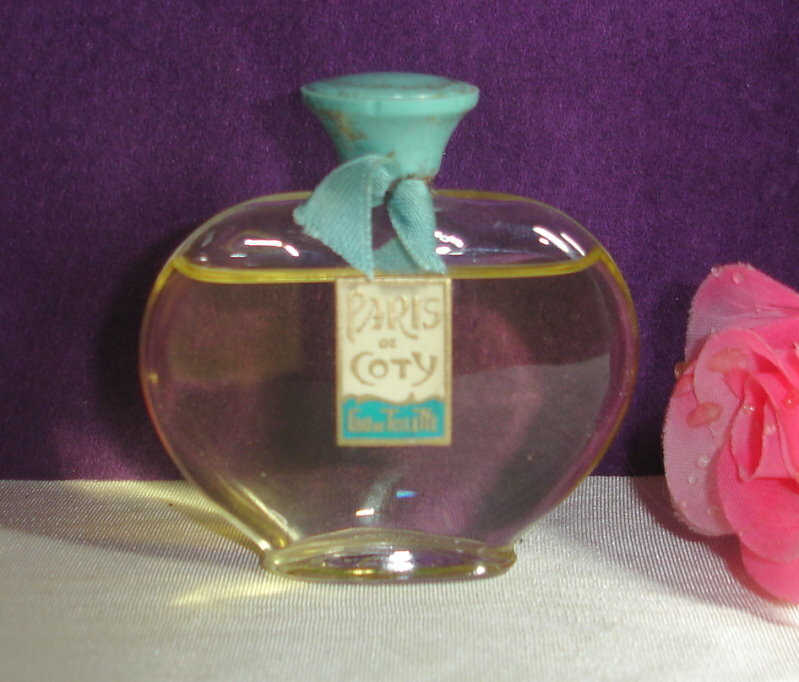 Henri Robert was the nose at Chanel and he worked for Coty. 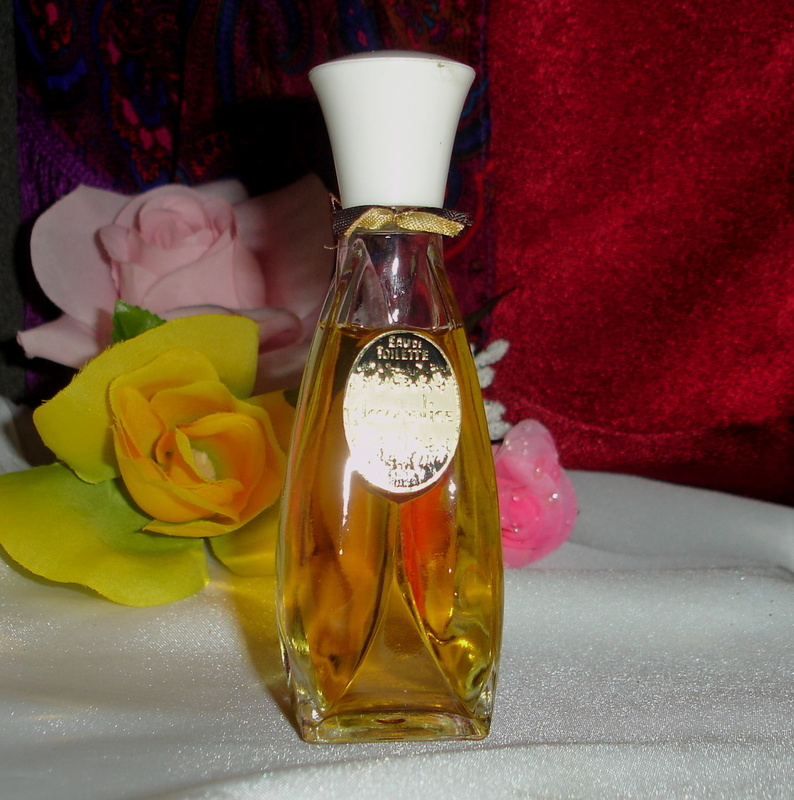 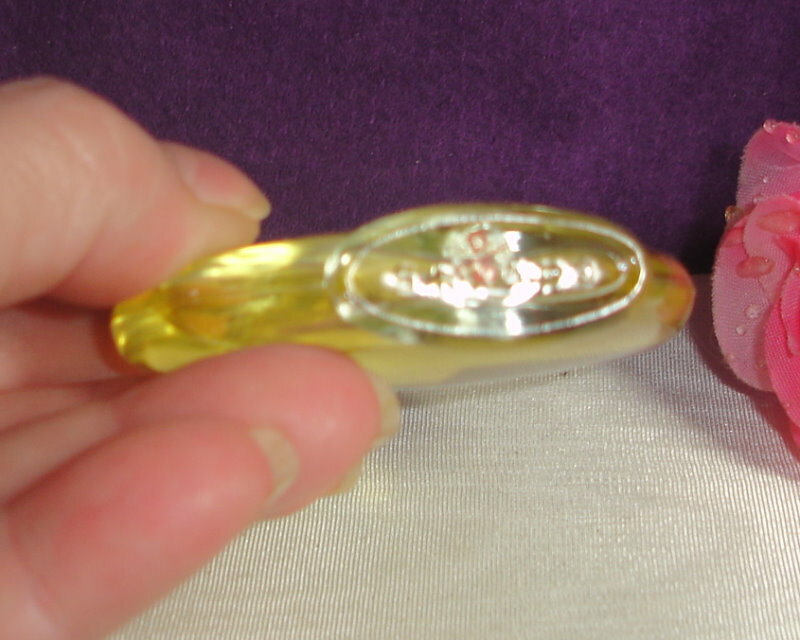 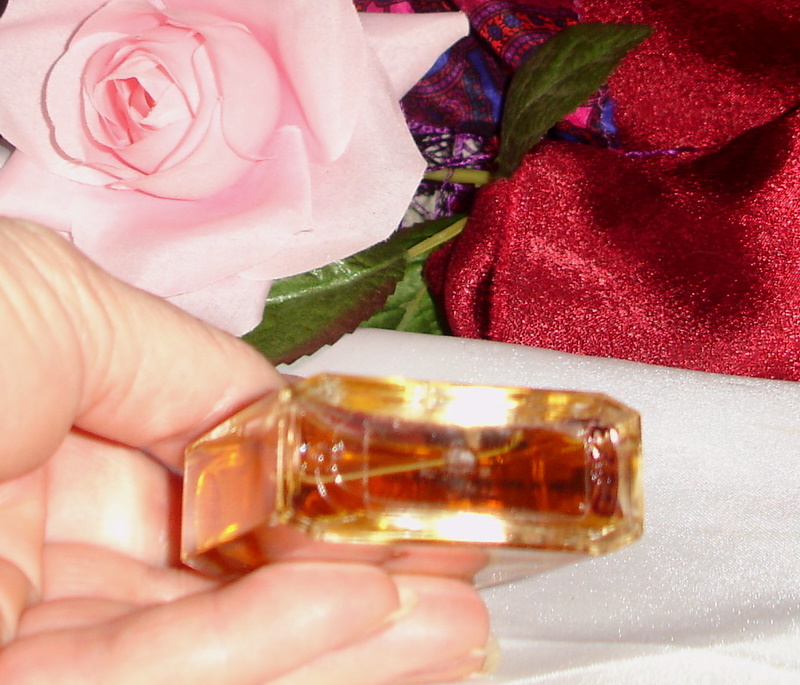 Habanita's top notes are orange blossom, raspberry, peach and bergamot; middle notes are lilac, orris root, jasmine, heliotrope, ylang-ylang and rose; base notes are leather, amber, musk, benzoin, vanilla, oakmoss and cedar. 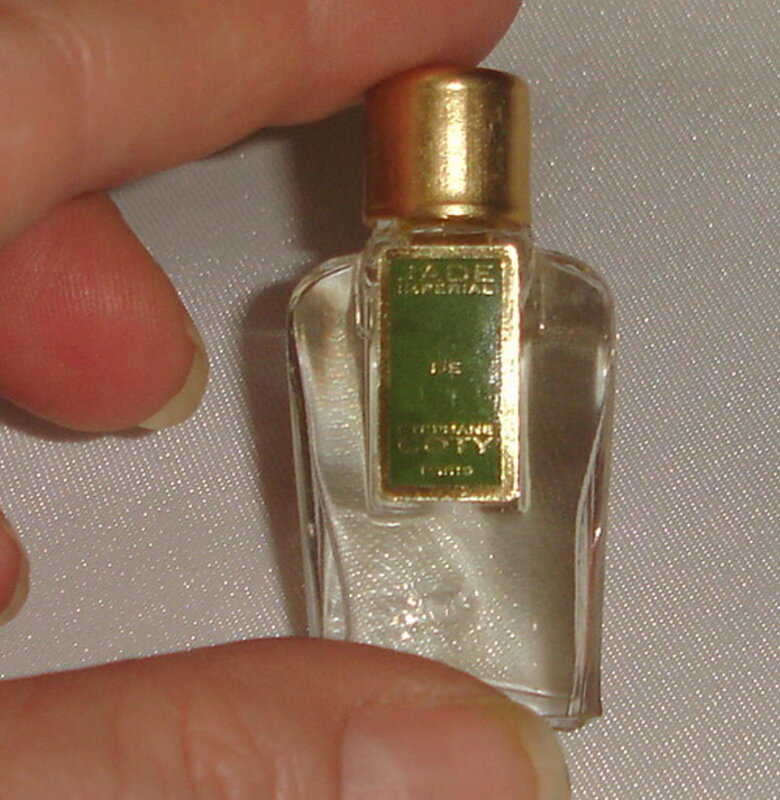 Ultra rare perfume. 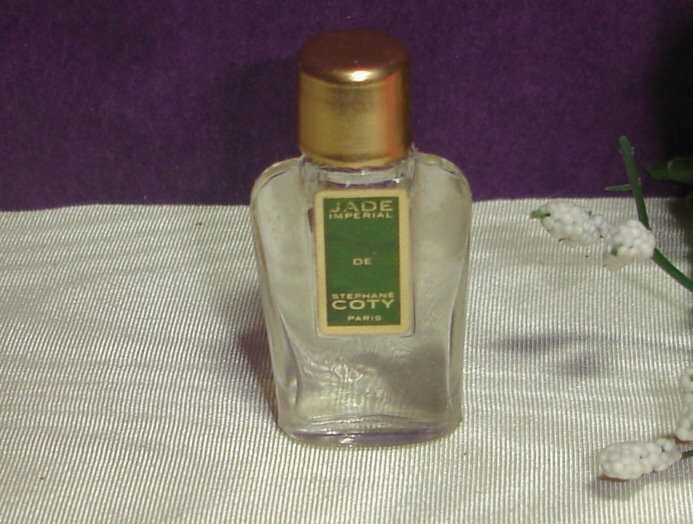 When Pfizer took over Coty in the early 1960s, one of the Coty descendants decided to branch off on his own and released Jade Imperial. 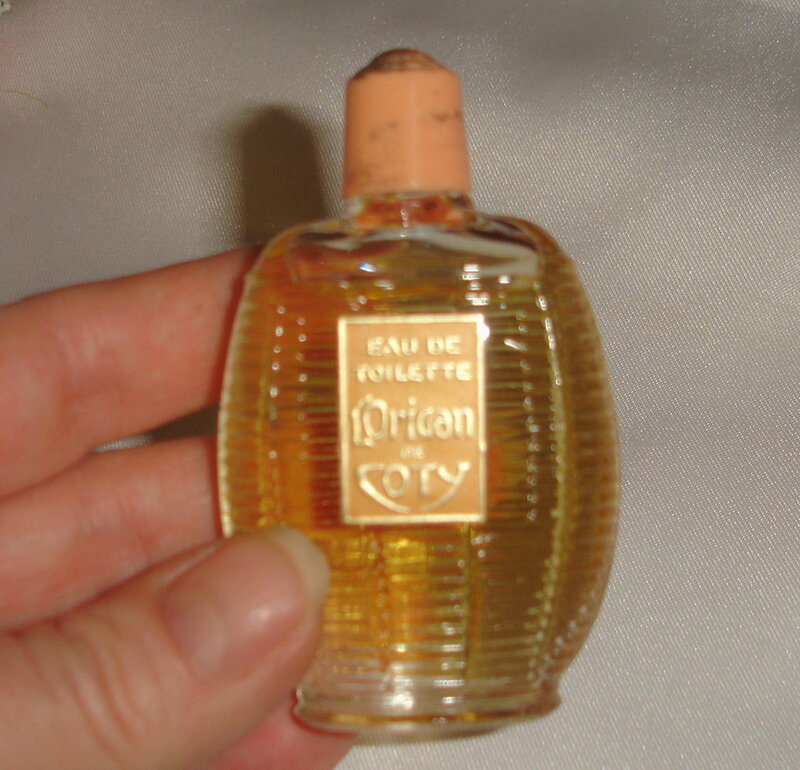 Even though he released it under the name Stephane Coty, Pfizer decided to sue him for name infringement. 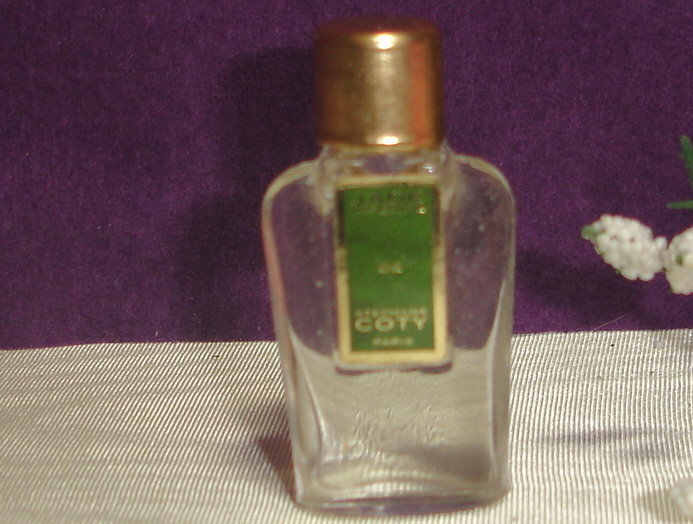 Just before he lost the suit, he sold all his stock of perfumes in Russia, so Pfizer could not take his stock. 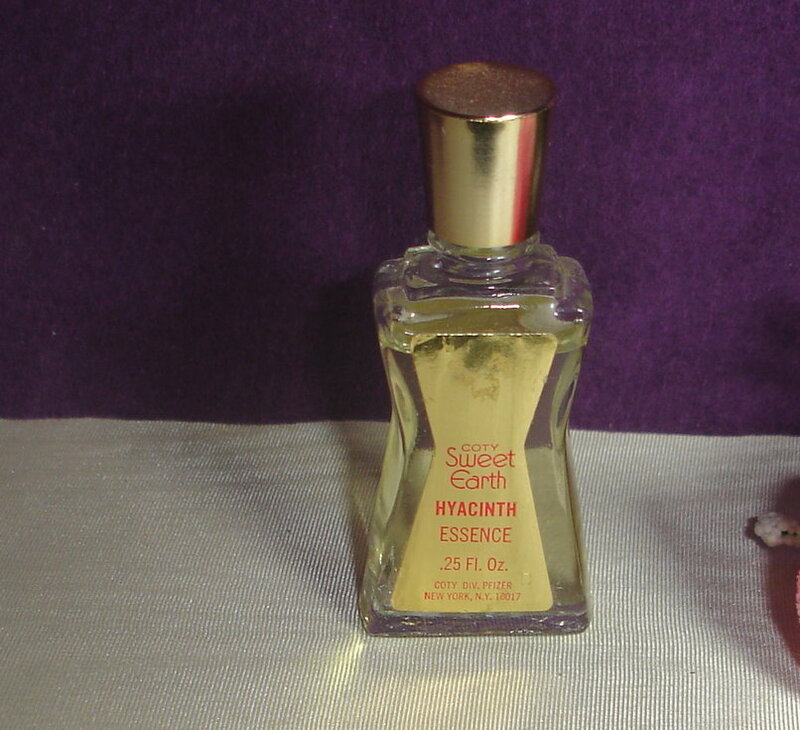 So the only bottles in existence are a few sold in the US and the rest was sold in Russia. 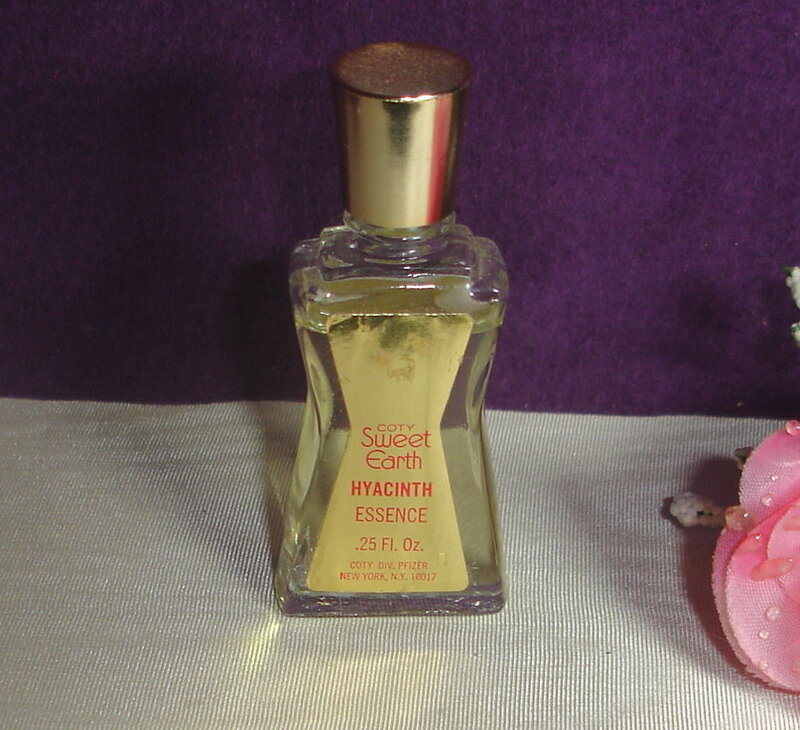 It is a very nice masculine scent.